Welcome to Saint Anne's Helper. Contact us for more information on the form below for more details about our Saint Anne's Helper products or Catholic catechism questions and answers. Or just leave us your regards! We also appreciate when you let us know of typos. Just fill in the information below. When you're finished, complete the security question and then click the button at the bottom and it will take your note securely to our email. Thank you for writing! 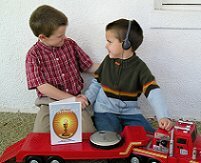 Booksellers can buy St. Anne's Helper Audio CDs at large Discounts with Free Shipping! We also have school, family, and homeschool groups that order ten or more CDs-MixAndMatch to receive large discounts, too. Or sign up as an affiliate to receive 30% on each sale. We do the shipping and the audio book downloads are automatic. Please know that when you use the Contact form we do not keep your address as with a subscription and only use your email when you need a reply. If you would like to sign up for our near monthly Catholic Holy Days of Obligation Reminder.